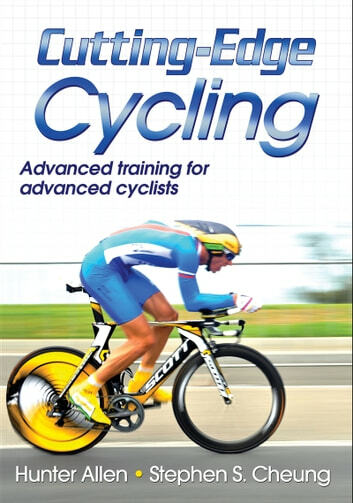 Increase speed, power, endurance, and efficiency with Cutting-Edge Cycling. You’ll learn how to apply the latest in cycling research, science, and technology to train smarter, ride longer, and race faster. Renowned cycling coach Hunter Allen and leading scientist Stephen Cheung share the most recent biomechanical, physiological, and technical advances and research, why they matter, and how you can incorporate them for maximal training and optimal performance. 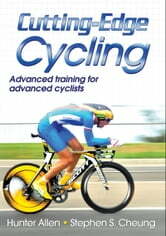 From the latest information on periodization, lactate threshold, and recovery to bike positioning, pedaling technique, and cadence, Cutting-Edge Cycling covers every aspect of conditioning, preparation, and competition in this physically demanding sport. Additional coverage includes interviews that cover a broad range of topics: interpreting lab results, fatigue, monitoring training, high-intensity training, prevention of and recovery from overtraining, pacing, bike fit, power meter quadrant analysis, hydration, and cooling strategies. If you’re serious about gaining the edge on the competition, Cutting-Edge Cycling is one guide you shouldn’t be without.